Only the finest & strongest fabrics are selected for durability, appearance and especially to protect your beautiful instrument. The cover is well made and the company went to every effort to ensure correct fit (emails). I am happy to recommend these covers to new purchasers. 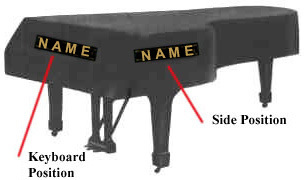 For those with the newer Kawai grands, please ensure to spec which one and size it is. We purchased a Shigeru Kawai SK3 that luckily was the older size -- and therefore the cover fit -- but since 2010 the size of this particular piano is larger. I recently made my first purchase from Piano Showcase. A vinyl cover for a Kawai grand used in a high-traffic area and a premium quilted cover for my personal Mason & Hamlin Model A. Both covers came exactly as described on the website, arrived 4 days earlier than originally quoted (with free shipping) and fit perfectly. 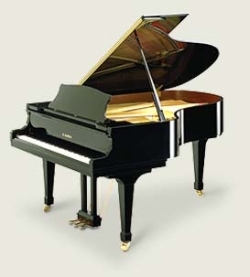 I am a piano technician and will definitely use this service again. We purchased your piano cover, and are thrilled with it. It is well made, with quality material. Underside is soft, giving us the confidence of staying scratch free. The outer material is not only beautiful, but looks like it should last for years. Only wish we would have purchased it years ago. Oh, and did I mention, GREAT price! We are very pleased, and would highly recommend! I recently purchased a semi water proof cover for my Kawai grand piano and I am thrilled with it. We just moved into a 600 ft2 home. Due to the size of the living room and the size of the piano, everyone who comes in our home thinks it is a piece of furniture to sit things on or lean against. With my new cover I can relax and enjoy my company knowing my piano is safe.